American Airlines has reopened its Arrivals Lounge at London Heathrow Terminal 3, following a multi-million-dollar investment. The new 'lounge experience' features 29 shower suites with complimentary Bigelow products, a coffee, espresso & champagne bar, and a business center. The airline has appointed event and restaurant caterer Rhubarb to service the new area, offering a seasonal menu of modern dishes, alternating every four weeks. Current dishes include eggs benedict with York ham; superfood salad with broad beans, avocado, pomegranate and organic seeds; and mango and lemon poached chicken with lemon thyme scented couscous. The lounge is open to oneworld First and Business class travellers, American Airlines Executive Platinum members and oneworld Emerald members, landing in London Heathrow Terminal 3. 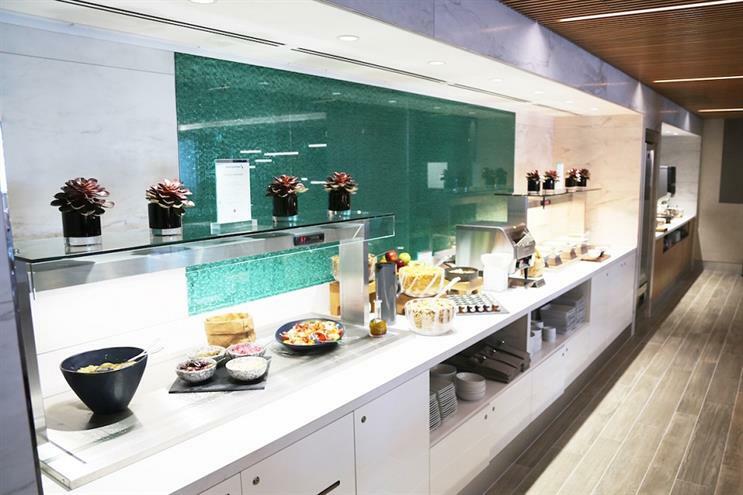 Martyn Barrett, director of travel at Rhubarb said: "We are incredibly proud to continue our long standing relationship with American Airlines, having first provided food for its first and business class lounges in 2009. "Being chosen for the new arrivals lounge is a testament to the work we do every day across our portfolio. We look forward to working with the American Airlines’ team and to bringing a first class service to a first-class lounge." Small batch gin Thomas Dakin is currently running a month-long activation at London Heathrow, serving signature cocktails from a branded bar to travellers en route to departure gates.